Victoria Park Gardens Aberdeen was named in honour of Queen Victoria and was opened in 1871. 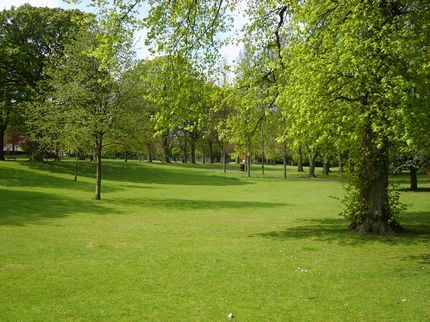 Victoria Park and its gardens remain open to the public and are one of the best maintained gardens and parklands in the North East of Scotland. 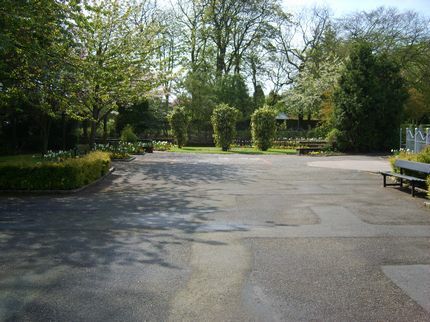 It is set in five hectares and is more of a relaxing park rather than the nearby Westburn Park which is used for sports and family enjoyment. The Archie Foundation Wild Dolphin Sculpture which is in place from July to August 2014. The artist was Claire Mackie. There are plenty of seats to relax on and take in the scenery and the grass is well maintained and suitable for picnics. 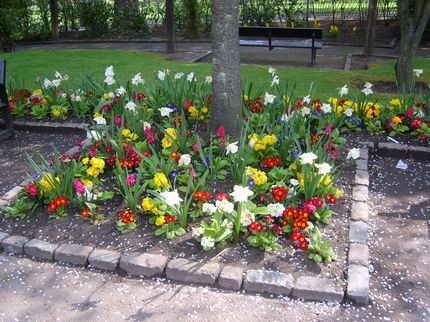 At the top of Victoria Park Aberdeen is the gardens which are well designed and planted with seasonal displays. There is disabled access throughout and more benches in this pleasant area. Surrounding hedging and trees give the impression of seclusion and afford privacy as can be seen in the photo below. A short walk away is the conservatory and greenhouses and across from these is a modern toilet block with disabled toilets. There is no car parking nor cars permitted into Victoria Park. 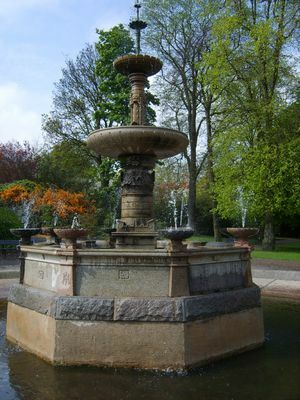 The central feature of Victoria park Gardens Aberdeen is the Victorian fountain that is pictured below. This fountain is unique because it is made from fourteen types of granite and was presented to the people of Aberdeen by granite polishers and master builders of Aberdeen City. 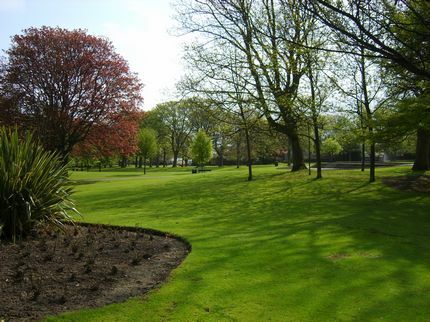 Pedestrian entrances to Victoria Park Gardens Aberdeen is via Westburn Road, Argyll Place and Watson Street. 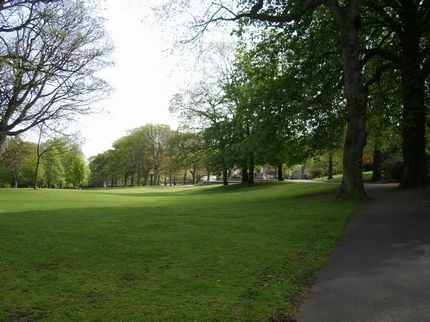 Read about and view images of Westburn Park.